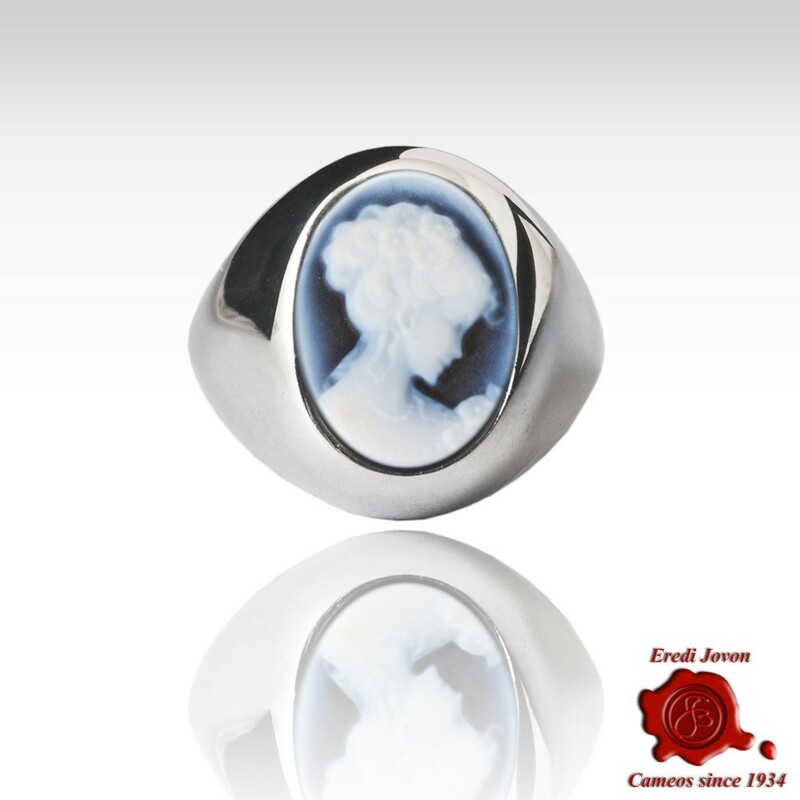 Venice solid silvr wide ring - Wide curved band 925% silver ring with a gorgeous blue agate cameo in the middle, skillfully engraved by hand. It represents Venezia, a beautiful lady, flowers in the hair and in hands, with ringlets collected in an elegant bun. It is stunning the precision of the details.